Jackie Knollhuff and Niall Ng, two young emerging directors have been our Artistic Residents all season. As the culmination of their time with us, they are each directing a workshop production of a play of their choosing. Jackie and Niall have worked super hard all year. PLEASE COME OUT AND SUPPORT THEM! TICKETS: all performances are $15 and can be purchased online, by phone or in person at the Administrative Office, Tuesday-Friday from 10am to 3pm. Luna Stage is located at 555 Valley Road, West Orange, NJ, in the heart of The Valley Arts District. 973-395-5551 Ext. 10. Suitable for ages 17 and up. Unseamly tackles sexual-harassment allegations in the fashion industry. Malina is a young victim of sexual-harassment, meeting with a lawyer to discuss taking legal action against her former employer, the CEO of a major fashion corporation. But if she's going to win this case, she'll have to reveal everything about her harrowing experience. Unseamly is a recently-published bold, and somewhat outrageous, exploration of sexual-harassment, public opinion, and the selective nature of memory. This production contains mature subject matter and graphic language. This production stars Angelica Ubiera, Brian Ach and Dan Johnson. Oren Safdie (Playwright) is a playwright-in-residence at La MaMa, and helmed the Malibu Stage Co. where the off-Broadway/London hit PRIVATE JOKES, PUBLIC PLACES debuted and was listed as one of the top ten new plays of the decade by the Wall Street Journal. His next play, THE LAST WORD also moved off-Broadway, starring Daniel J. Travanti. Other NY productions include UNSEAMLY, FALSE SOLUTION, CHECKS & BALANCES, THE BILBAO EFFECT, WEST BANK, UK, JEWS & JESUS, FIDDLER SUB-TERRAIN, and LA COMPAGNIE, which was developed into a pilot for CBS. Four of these plays garnered a New York Times Critic's Pick. As a screenwriter, Oren scripted the film YOU CAN THANK ME LATER starring Ellen Burstyn, which won the Grand Jury Prize at the Newport Film Festival; and the Israeli film BITTERSWEET. He has taught playwriting at the University of Miami and Douglas College in BC. Chris Cragin-Day (Playwright) is an alumnus of The Public's EWG (The River Nun, 2009 Spotlight Series) and O'Neill NMTC (Son of a Gun, co-writer Don and Lori Chaffer). Her play, Martin Luther on Trial, developed with Max McLean, had an Off-Bway run in 2017, a National Tour in 2017, and has another national tour coming up this summer. Her play A Woman was part of 59E59th's Summer Shorts 2017 and just received a reading of the full-length version at The Sheen Center. And her play Foster Mom won Premiere Stage's New Play Award and received a production there September 2017. Her musical, The Unusual Tale of Mary and Joseph's Baby, which played in the 2016 NYC Fringe (co-written with Don Chaffer), had a mid-west tour by River and Rail Theater in 2017 and has another tour in the works for 2018. 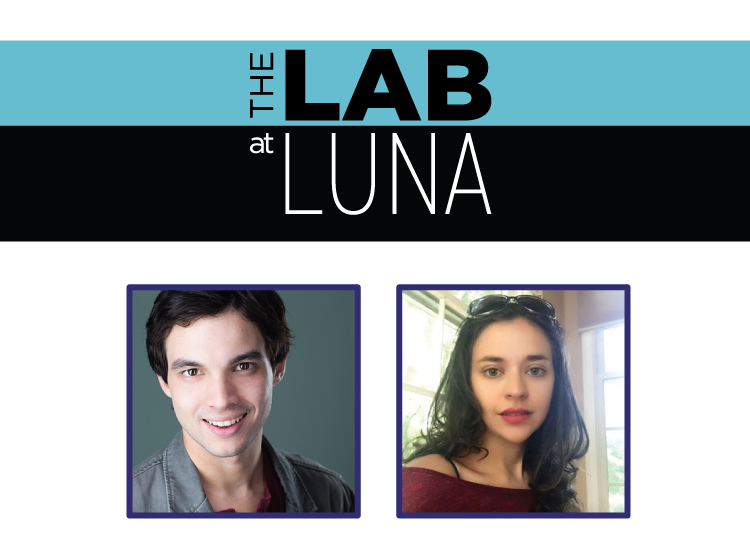 Her play, The Rare Biosphere, was part of Luna Stage's New Moon Series and Sea Dog Theater's reading series at The Sheen Center. Chris is an Associate Professor of English and Theater at The King's College NYC. She lives in Weehawken, NJ with her husband, Steve Day, their daughter, Kansas, and their foster son, Noah.